The Saint Vincent de Paul Society was founded in Paris in 1833 by Fredric Ozanam to pursue the ideals of St. Vincent de Paul to help the poor. The organization came to the United States in 1845. Read more about the national organization at www.svdpusa.org. Our parish chapter of the St. Vincent de Paul Society offers many services to the needy in our community. 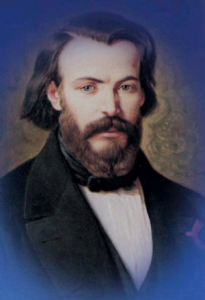 Blessed Frederic Ozanam (1813 – 1853) Frederic was a husband and father, professor and servant of the poor. He founded the Society of St. Vincent de Paul as a young student with others of the Sorbonne in Paris. Frederic’s writings on social justice anticipated the first social encyclical of our modern times, Rerum Novarum.